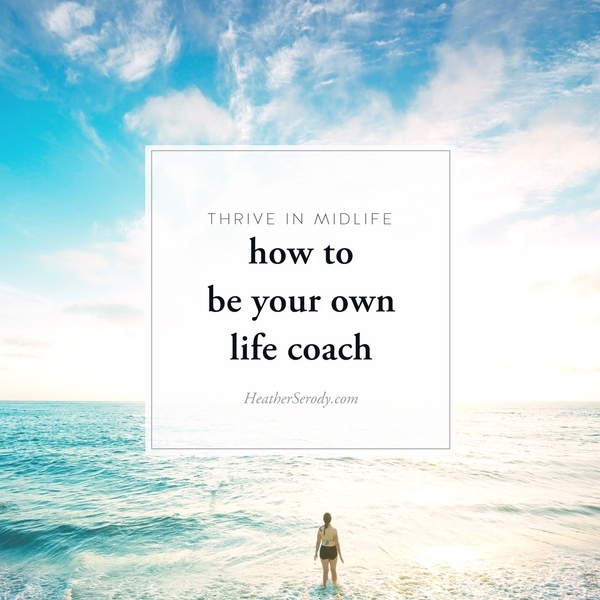 What a life coach does is change the way you think, and then you do the work. So why not also learn the art of coaching your own thoughts? You can learn how to be your own life coach by learning how to think with purpose. We should learn how to self-coach in order to be able to help ourselves feel better about situations that make us feel upset, angry, jealous, lonely, worried, fearful, or frustrated. The art of self-coaching is a process that you can learn to troubleshoot and transform negativity in your life. No matter what negative emotions you feel, you can transform those emotions by changing the thoughts that you think. Self- coaching is like tapping into the Jedi force, in that it gives you a source of control that you never imagined you had. Coaching can transform how you feel about your life very quickly and help you see your life with a clarity of vision so that your life becomes more effortless, more peaceful, and easy. The thoughts you choose to think about your life are responsible for how you feel about it. Problems happen because our instinctive reactive thoughts to challenging situations are a function of our ego which is vain, jealous, defensive, greedy, anxious and afraid. We need to self-coach because we think without thinking. It is human nature to blame our situation for how we feel and not the thoughts we think about our situation. To see this for yourself, think about the lottery winning practical jokes you've probably seen. It breaks my heart to see someone calling out lottery numbers to the unassuming lottery player. Seeing their exuberant and emotional reaction to thinking they've won millions of dollars is a testament to the power of thoughts. Of course, they never actually won the lottery, but they thought they did and for a minute how they felt changed dramatically. the quality of our thoughts affect we feel which then affects everything down the chain – the actions you take (or don't take), and in turn, those actions affect your reality. This is how we think our reality into being. The process of self-coaching is a systemic process where you identify the unconscious thoughts you are having about a situation that is making you feel awful. You decide how you prefer to feel about this situation and then choose different thoughts that will help you feel that way. Changing the thought variable is how you solve the equation of negative experiences in your life. Let's look at an example from my life. a few months back I was accused of saying negative things about my friend's relationship. She was told this nasty piece of gossip by her friend. Ugh. I told my friend that it wasn’t true. She didn’t believe me. Hypothetically, if I allowed this ‘circumstance’ to dictate how I feel (potentially angry, attacked, hopeless, and frustrated) then I’d be really unhappy and upset for a very long time, but because I self-coached; within literally 10 minutes; I was in a much more peaceful place. That's the power of self-coaching. In your own life, when you examine your thoughts about a situation in your life that is giving you trouble, you can spot faulty thinking if your default thoughts argue with what is. In this example my default faulty thinking said but this isn't true and that's not fair! When you argue with reality, you will lose every time. And the reality is that if my friend doesn’t want to believe me, she doesn't have to and there is nothing I can do about that. I have to allow it in order to remain free of this negative circumstance. In this example, The only thing that I can actively do to remedy the situation is to choose to deliberately think thoughts about this negative circumstance that makes me feel better, more empowered, and not fighting what is. Ultimately I choose to love her even though she chooses not to trust me and there is nothing she can do about that. ? Ha! Allowing negativity is very different from fighting negativity. One will make you stronger and the other one will tear you apart. My friend believes this gossip because her thoughts about me (I am unsupportive and judgmental of her relationship) are in agreement with the gossip she was told. Our brains reward us when our realities match our thinking and repay us in the form of feelings of righteousness. Righteous indignation feels really, really good but it's a weapon of the ego and it's a sign that your thoughts are unconscious. I created an easy to use Self-coaching worksheet printable that you can use over and over again to help you feel better about any situation & get better results in your life. Join my community for this free download. 1. For any challenging aging issue, write down what is giving you trouble, how you feel about it, and what happened as a result. This is Free Writing. 2. Next, reread what you wrote and identify The Situation by circling it. The situation is WHAT IS. You cannot change a situation. The situation is not subjective or open to your interpretation. It is something that everyone agrees IS. In my example, the situation is that gossip was told to my friend. 3. Next, identify The Thoughts you are choosing to think about this situation by highlighting or underlining them. In my example, my initial thoughts were I can't believe this! and Why does she hate me so much that she would believe this? 4. Read through what you wrote and analyze how those thoughts created your Feelings. In my example, my thoughts led me to feel anxious, defensive, maligned and misunderstood. Not a good place to be! 5. Analyze your writing further to see how your current feelings affected your Actions (or lack of action) in response to the situation. Your actions or non-actions always affect the results you get in your life. 6. Now that you've taken an objective look at the situation by journaling it and identifying the situation, thoughts, and feelings now it's time to actively self-coach by deciding first how you would prefer to feel about this situation. In this example, I wanted to feel at peace with what happened because I know the truth even if my friend doesn't want to believe me. To change things, replace your current thoughts with more peaceful or positive ones. Experiment with how choosing better thoughts will filter down the chain and give you the results you want. I can't believe this! I choose to think instead —> This happened and if she won't believe me then there's nothing I can do about it. Why does she hate me so much that she would believe this? I choose to think instead —>I can't know why she chooses to believe I don't support her unless she wants to tell me. Let me know how you're doing with your self-coaching. Remember that is is a process and it takes to practice. The more you practice the better you will get at distinguishing thoughts from feelings. The best way to begin is to sit down and write our what's bothering you as soon as possible. The more quickly you can remember to self-coach after a situation happens the sooner you can feel better and more in control of your life. You can read much more about how to bring the skill of self-coaching to all areas of your life. Need help? Sometimes it just helps to have someone help you learn this process so you can apply it to your own life.